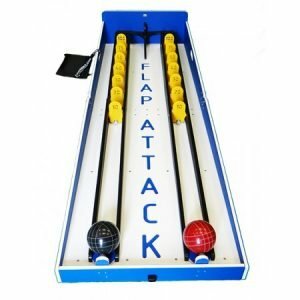 Challenge your opponent with this awesome Flap Attack Carnival Game. Roll the ball uphill knocking down flaps to land a high score. Watch out or the drop-off!